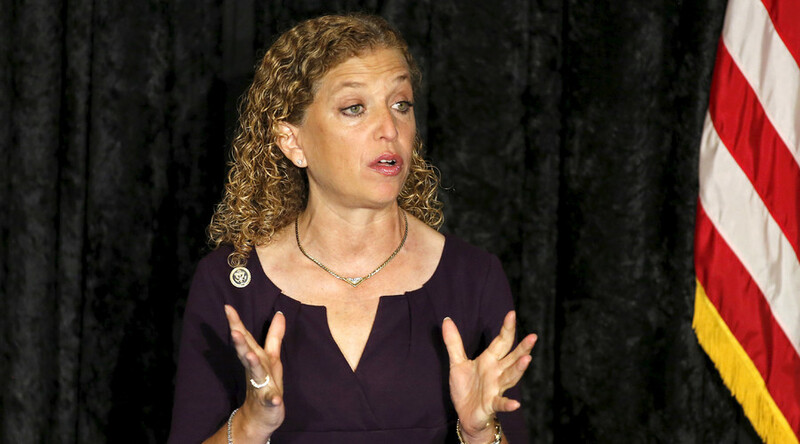 A communication from late May laid out the pros and cons of DNC Chairwoman Debbie Wasserman Schultz accepting an invitation to CBS’s ‘Face the Nation’,and indicated that the DNC was plotting its moves based on what would be amenable to Hillary Clinton’s presidential campaign. “It’s clear that Bernie messed up and that we’re on the right side of history,”Miranda wrote in another bullet point, referring to the Nevada convention. Wasserman Schultz and Miranda brainstormed ideas to attack Sanders’ position on the Israel/Palestine conflict with her communications team in one thread, with Wasserman Schultz saying that “the Israel stuff is disturbing” in reference to Sanders’ platform committee appointees attempts to include language denouncing the occupation of Palestinian territory in the Democratic platform. “We need to push back… Patrice, what happened, DNC had nothing to do with this, right?” Miranda replied, referring to DNC Director of Party Affairs Patrice Taylor. Another email shows similar ‘us and them’ language being directed at Sanders supporters. An email titled ‘Bernie narrative’ sent by DNC National Press Secretary Mark Paustenbach to Miranda indicates that top officials in the party were trying to find an angle to disparage the Vermont senator in the media. “It’s not a DNC conspiracy, it’s because they never had their act together,” Paustenbach suggested. The chairwoman made her opinion clear about Sanders in an messageconcerning the candidate alleging that the party hadn’t been fair to him.